You've probably heard it before: age is nothing but a number. And that's true, you are as old as you perceive yourself. How old you feel and how old you look has got a lot to do with your mental attitude. Well, and a healthy combination of diet and exercise doesn't hurt either. Getting back to the mental attitude; you have to have a positive mental attitude in order to feel great and look it too. Positive thinking can be learned. It's like a habit - it requires daily reinforcement by requiring a more gracious attitude, and acknowledging the many things you have to be thankful for. It is perhaps easier said than done- but don't sweat the small stuff, it's just not worth it. As mentioned before, a positive mental attitude or outlook on life only takes care of a certain part of feeling great. You need to take care of your body as well in order to feel / look great. You can do so by incorporating a healthy way of living, eating and exercise in your day to day life. We all know it, but few of us actually do it: eating plenty of vegetables, fruits and whole grains. Eating clean food (not processed and pre-made food) really has a positive effect on how you feel. It decreases the risk of certain diseases, enhances your longevity and just makes you feel great! Once you're hooked on the nice healthy goodies, try to eat small meals every 3 to 4 hours. This will not only keep you satisfied, but also keeps your blood sugar and insulin levels controlled. The thing that will really get you excited is that by doing so, your body will not store body fat, but instead will use the body fat as an energy source. When you are on the go or in a rush, don't comprimise your health. A great fast meal choice is USANA's Nutrimeal, which is a great-tasting, low-GI meal replacement that contains quality protein, carbohydrates, dietary fiber, and many micronutrients. Another USANA product that will keep you going is Fibergy, of which the high fiber content will leave you very satisfied, so you won't be looking for a snack an hour later. Eat foods that are rich in omega-3 fatty acids, and antioxidants. 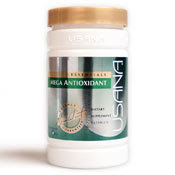 If you just don't seem to get enough in during the day of- for example- antioxidants, try USANA's Mega Antioxidant which is a very powerful formula that will boost your system like no other. You really do need to get physically active if you're not already. Make time to exercise every day if you're not active throughout the day. Physical activity will turn back the clock and is a must to looking younger and feeling great. If you're not a gym person- go for a uptempo walk around the block, take the stairs instead of the elevator and leave the car at home more often. If you don't make time to exercise, you'll have to make time for illness- it's really that black and white. Feeling great also has got to do with getting plenty of sleep. This is so much more important then most people realize. Sleep has a great impact on your health, to looking younger and feeling great. Your body needs to have the chance to rejuvenate during the night and the more active you are the more sleep you need. We all know this one: don't smoke or drink alcohol. A glass of wine with dinner is fine, but keep it at that. The days of soaking up the sun on the beach are over. Sun is not only the number one cause of wrinkled skin, but it is also a major cause of skin cancer. Use a good sunscreen, wear a hat and try not to be out in the sun for longer than 15 minutes. So basically to look good and feel great at any give age you simply need to take care of yourself. Eat well, exercise well, protect yourself from the outdoor elements and be positive about yourself, your life and the people around you.